Alexander Alexandrovitch Nikolsky—or Nick, as he was affectionately known—lived three distinct lives: first as the son of an aristocratic Russian family in Moscow; then, following the revolution, as a displaced student in Cairo and Paris; and finally, as a naturalized US citizen at the Massachusetts Institute of Technology (MIT), Sikorsky Aircraft and Princeton University. During his life as an American, he became more American and accomplished more for his adopted country than most of us. Throughout his entire life he displayed the virtues of courage and excellence. Nick began his career as a cadet in the Russian Imperial Navy. He was serving on a naval training ship in Vladivostok when the Revolution of 1917 overwhelmed Russia. He and his fellow cadets took the ship and sailed it to Japan. He later made his way to Cairo, then to Paris. The White Russian community in Paris took him in hand, and entered him in the Sorbonne, where he received certificates in mathematics and physical mechanics. Before he left Paris he also qualified for degrees in electrical and mechanical engineering. During his years in Paris he came to the conclusion that his future lay westward and, not waiting for legal entry documents, he signed on a merchant ship as a sailor. He arrived in Philadelphia in 1928, jumped ship, and worked his way to Boston, where the Russian community again sponsored his further education, entering him in the Aeronautical Engineering Department of the Massachusetts Institute of Technology. He graduated the following year, receiving an M.S. in Aeronautical Engineering, and was immediately employed by Igor Sikorsky, President of Sikorsky Aircraft. He became an American citizen several years later. Nikolsky spent 13 years at the Sikorsky Aircraft Division of the United Aircraft Corporation, serving successively and successfully as stress engineer, Chief of Structures, and Assistant Chief of Design. More importantly, he became a part of a small nucleus of engineers who worked with Igor Sikorsky to develop the world's first practical helicopter. The interest which developed during this phase of his career colored his remaining professional life. 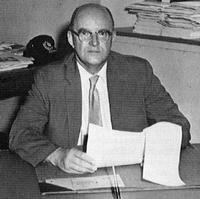 When Dan Sayre formed the Department of Aeronautical Engineering at Princeton University in 1942, he persuaded Nikolsky to join him. Nick left Sikorsky and became the second faculty member of the new department. He rose to the rank of Professor two years later, and overcoming the handicap of illness, in 1954, became the first incumbent of the Robert Porter Patterson Chair in Aeronautical Engineering. The simplest way to describe Nikolsky's technical achievements is to say that he dominated a new and important field. His domain was the field of rotary-wing aircraft, exemplified first and most strikingly by the helicopter, and later by the new category of aircraft known as vertical takeoff and landing machines. His original work with the small group at Sikorsky created a technical breakthrough. At Princeton, as a research team leader, he provided information crucially important to rotary-wing aircraft designers, and pioneered the development of a facility for the dynamic simulation of those aircraft which was unique in the world. He profoundly influenced the growth of research in the expanding Aeronautical Engineering Department, especially with rotary wing, to the point where Princeton became the foremost center of knowledge in that area. At Princeton, Nikolsky wrote two books, including the first definitive text on the analysis and design of rotary-wing aircraft: Notes on Helicopter Design Theory (1945) and Helicopter Analysis (1951). Alexander A. Nikolsky, 60, a pioneer in the development of the helicopter, a former resident of Stratford and a member of the Sikorsky division of United Aircraft until 1942, passed away in Princeton hospital February 15, 1963.